I thought picking ten under $50 was hard, but under $100 was just plain torture! I want everything and frankly, I NEED everything. Barefoot Dreams is one of the #nsale's biggest sellers because the material is a literal dream! Every wanted to know what it's like to be a stuffed teddy bear? Well now you can. 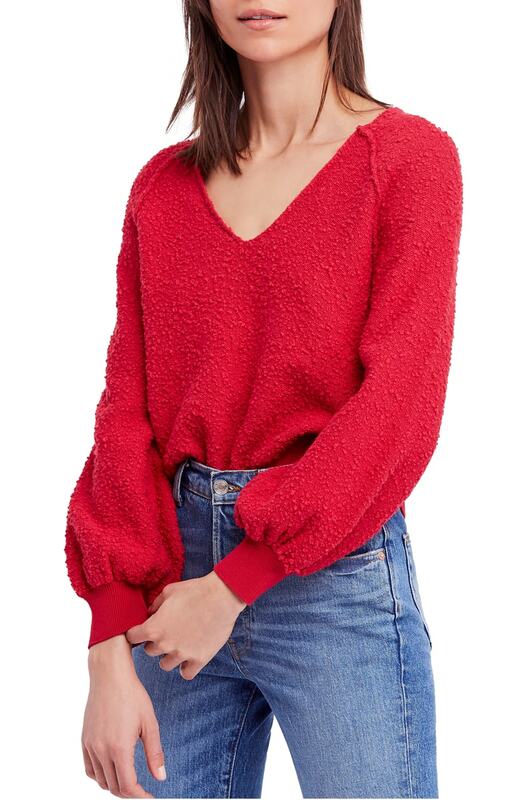 Another dreamy sweater perfect for fall! It comes in more than five different colors and you need at least one. The cropped style is perfect to tuck into high waisted jeans or pair with a skirt without getting that awful bulge that looks like a food baby. 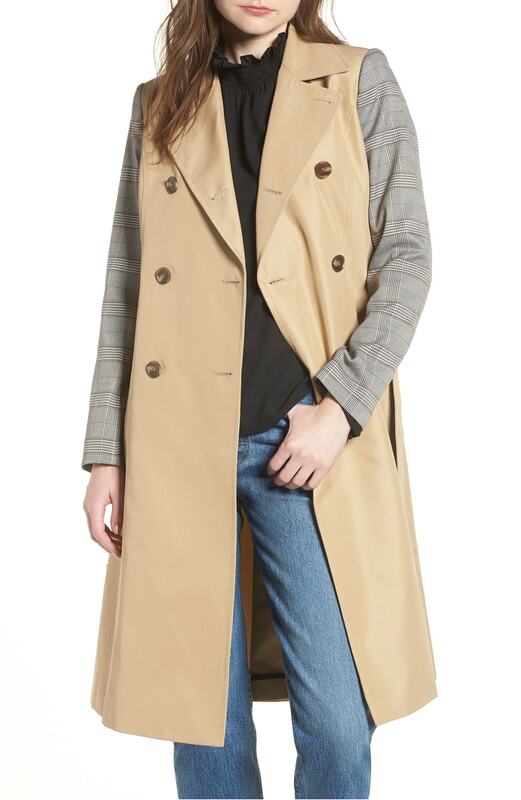 The only way to describe this trench is chic. I honestly can't believe it's under $100! 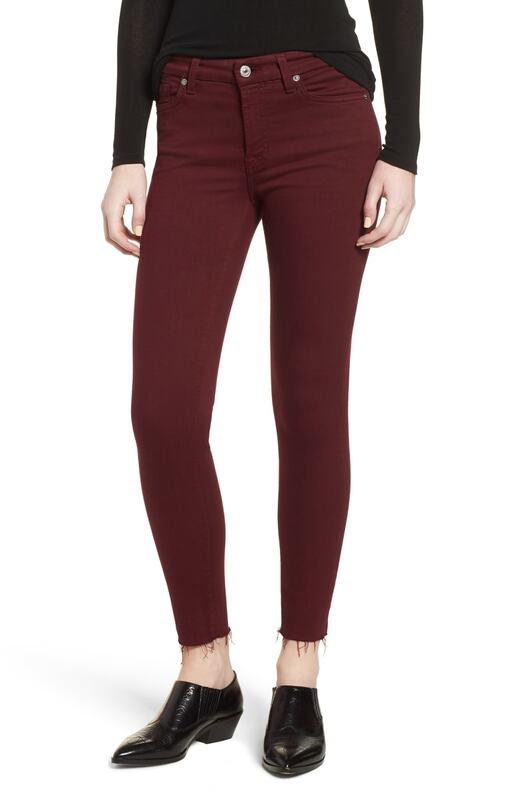 Burgundy jeans are the epitome of fall. I love this style, especially with the new trend of the raw edge. This would look great paired with the Free People sweater above in black! These slingbacks are so cute!! They are basically a shoe mullet: boot in the front, mule in the back. While florals are a big hit in spring I personally love them most in the fall. This beautiful red shade is perfect for autumn and I love how you can wear boots, flats, or even heels! Such a versatile piece to have in your closet for all seasons. A biker always looks cool in fall. Pair it with dark jeans, white t-shirt, and sneakers and you've got a classic outfit. This jacket is even cooler with its less than $60 price tag! I'm really into blazers right now. I love how they make you look so sophisticated even if you're just wearing jeans and a tee. I love that this one is made with a knit material so it makes it a little less dressy but just as classy. Jumpsuits are my favorite clothing piece ever! One complete outfit that takes less than a 20 seconds to put? Yes please!! The belted waist is what draws me to this jumpsuit the most as it creates shape. I also appreciate the short sleeves because it makes it look more sophisticated than sleeveless. This cardigan is one of my favorites in the whole sale. I like the subtle bell sleeve and the perfect oatmeal color. This cardigan is a must buy! I think the under $100 items are AMAZING! I can't believe some of these pieces are marked down so much. Also, if you haven't heard, Nordstrom is giving cardholders 10 times the points on today's (7/12) purchases until midnight as an apology for all the glitches on the site this morning. If that doesn't prove how much Nordstrom cares about its customers I don't know what does! Take advantage of this NEVER BEFORE points perk and make your order today!